Gary Neville admits Dejan Lovren is a ‘top centre half’ when playing in his best form. The Liverpool defender has proven divisive in recent months more so for his comments off the field as opposed to his performances on it. 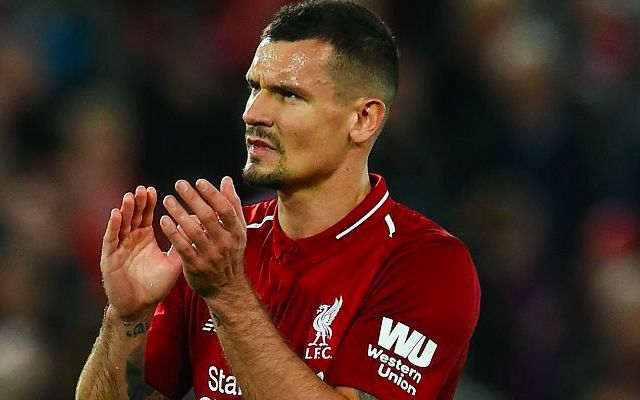 After helping his nation beat England in last summer’s World Cup semi-final, Lovren claimed he deserved to be recognised as one of the best defenders in football. He recently continued a long-running feud with Sergio Ramos, seemingly admitting on social media to deliberately elbowing the defender during Croatia’s 3-2 win over Spain. Despite the controversy surrounding his comments, Neville has praised Lovren for the manner in which he backs his own ability. He added: “I did think that he and [Domagoj] Vida at the World Cup would struggle, I thought he would give them more problems. There can be no denying Lovren’s monumental improvement over the past 12 months and the way he has managed to convinced so many doubters of his talent. He was particularly outstanding for the Reds over the second half of last season, responding to a nightmare 30 minutes in the October 2017 4-1 defeat to Tottenham by playing a key role in his side’s top four finish. It’s for both the eradication of his previous rashness and his heart-on-sleeve approach that has seen him grow to be a popular figure under Jurgen Klopp. The Reds’ centre-back did, however, find himself on the losing side on Sunday as Croatia slipped to a 2-1 defeat to England in their UEFA Nations League clash at Wembley.